The most important part of your Ransomware Protection strategy is having effective endpoint backup. But educating your users on how to protect themselves is a vital part of your defence. 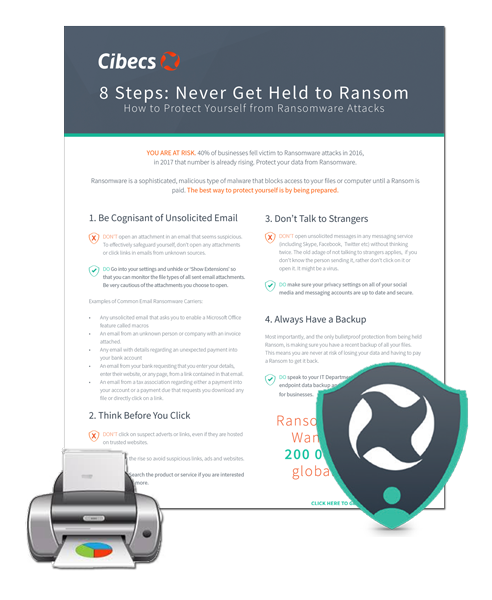 Download our single page 8 Steps to Never Getting Held Ransom by Ransomware and give it to your users. Download the guide by filling in the short form on the right.